Well detailed learning program with reachable outcomes. Content is easy to take it and make use of. Very practical learning. Lack of real life teaching experience. 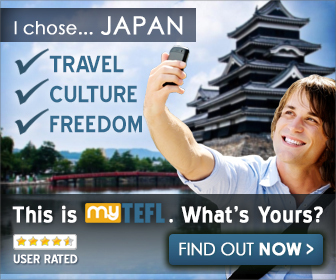 TELFPROS is quickly becoming one of the best in offering online TEFL certification courses. 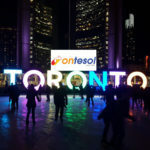 Their 120-hour TEFL course is for anyone who is interested in learning the essentials of ESL right from their own home. This company was founded with quality education in mind. Jos and Whiney developed this learning environment with some core ideas. They do not think a person should take a risk when it comes to their education and accomplishing their educational goals. The founders also feel that education and empowerment go hand in hand. If the teachers are highly skilled and highly trained they will be able to provide a better education to students all over the world. These courses are online so they can meet the needs of the modern learning. 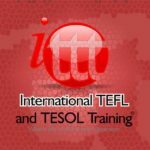 TeflPros’ special 120-hour fully online TEFL course allows you to learn some core teaching concepts that will be useful once you get a teaching job. The online course is fully accredited. Accreditat, the partner organization who reviewed TeflPros’ TEFL course content provided their full accreditation and complete backing. There is no question to whether or not the course will give you the quality you need to be a confident teacher. It’s more a matter when should you start. This really depends on where you want to teach as hiring seasons vary all over the world. There are 10 different modules that are part of their course. In order to move on a person has to complete the core materials on their current module. There is a bonus module that contains a number of ESL goodies to help a person become successful. There are 32 different units that are arranged in a specific order. Each one will allow a person to build upon their skills and progress as they go on. There are step by step examples and 10 fully explained lessons to help an enrolled student with the content. For those that need direct instruction they can find it at this site as well. This course includes 17 hours of classroom video observations that are taught by teachers who are TEFL certified. You’ll observe through their demonstrations how a good classroom environment should be from the beginning to the end. For those that need extra instruction and support there are text documents that go along with every unit. They will explain all different kinds of methods and techniques that are used. There are some additional resources as part of this class. There are chat videos where a student can chat with the instructor online about the course material. In order to monitor the progress of a student they will turn in assignments and worksheets for the unit. These worksheets will reflect what the you have learned and the instructors will provide feedback when or if needed. The quizzes and assessments that you will take will reflect directly on the work they are given. There will be no surprises or random rabbit out of the hat trick questions on the quizzes, just the information that you need to know. When a person has completed the coursework they will receive a TEFL certification that can be presented to future employers as validation of your new qualification. There are many reasons as to why a person should select this course. This course is online so a person can study when they have time. They can log on any time of the day or the night. There is no strict schedule which provides a great deal of flexibility when it comes to studying. This course is also affordable. Due to the flexibility of the course, a person can still complete their daily obligations while they are studying. This course is fully accredited and a person will learn skills that they can use in the real ESL classroom. All of the instructors are highly trained and certified as well. These online classes are interesting and they were designed to show you how to create an engaging learning environment. All of the courses and information provided to the students is accredited. This school is accredited by the TEFL/TESOL Learning and training to provide excellence in competence. The company has also received accreditation from ACCREDIATAT. This company is based out of the United Kingdom and they view the course and if it meets the standards they will approve accreditation. 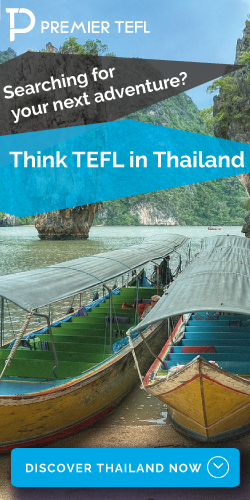 This agency looks at TEFL classes from all around the world. When seeking accreditation there are several factors that need to be considered. They include the ethics of the operation and the founders, the knowledge of the tutors, the way the students are assessed, and if the courses are provide high quality content. TeflPros was approved in all of these areas. When a student passes the TeflPros course they will receive a certificate of completion. They will also receive a certificate proving that the courses are full accredited. Both of these items should be added to the professional portfolio so that a student can show their employer that they are committed to being a good teacher. There are no extra fees for the certificate of accreditation. Once a person has completed the courses they will still have access to all developmental materials, so they can continue to refine their skills. TeflPros will teach a student everything they need to know in an affordable online course. This course will use information from the real world that will allow a person to increase their training and education. The takeaway here is you’ll be able to walk into the classroom with your head held high, knowing exactly what you need to do. Feeling prepared is an awesome feeling.